Friday could not come sooner, am I right? Luckily for us it’s just a few days away! Therefore, I wanted to share some events coming up this Friday, October 18, 2013. So mark your calendars because you now have something to look forward too! Enjoy a 90-minute guided walk through the spooky lanes of downtown neighborhoods hearing stories of ghosts and the macabre. See details here. 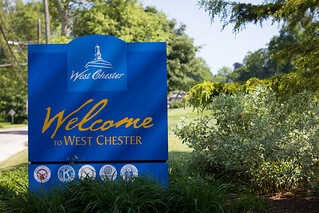 West Chester University Department of Geology & Astronomy presents Venus: The Evening Star at the University Planetarium, Schmucker Science Center, located on South Church Street between University Avenue and Rosedale Avenue. Show starts at 7pm and runs approximately 1-hour. Reservations required. Call the ticket office at 610-436-2266. See more information at WCU Public Planetarium Shows. West Chester University Theatre & Dance Department presents Godspell, one of the biggest Broadway successes of all time with music & lyrics by Stephen Schwartz, the Grammy and Academy Award-winning composer. Based on the Gospel According to St. Matthew, Godspell is a timeless tale of friendship, loyalty and love. Directed and choreographed by Liz Staruch. Performances at the Madeleine Wing Adler Theatre. Reserved seating. Tickets and performance times at tickets.wcupa.edu.